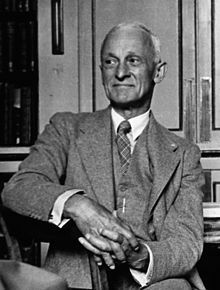 Dr. Harvey Cushing was born in Cleveland, Ohio , the son of a physician. He could trace his roots back to the 17th century Puritans that inhabited America. He was the oldest of ten children, but he had ample opportunity throughout his early childhood. He attended the Cleveland Manual Training School to expand his love of both science and medicine. The school taught him to take a “physics-based” approach to medicine, which emphasized staying current with education and experimental techniques. Cushing also excelled at the school’s dexterity training program, which helped him in his career as a surgeon. Cushing, who would go on to be known as “The Father of Neurosurgery”, got his start working out of private practices in Baltimore. He first noted the “Cushing Reflex” there, which helped define the relationship between blood pressure and intracranial pressure. Although he became an associate professor at Johns Hopkins, and the University’s chief surgeon in cases of neurosurgery, he wrote multiple monographs on his findings. During his service as a major in the US Army Medical Corps, he discovered that one could utilize electromagnets to extract fragments of shrapnel from the brain. He served until 1919, receiving the Distinguished Service Medal four years later for his service. He also treated the fatally wounded son of Sir William Osler. After the death of Lieutenant Edward Revere Osler, Cushing would go on to help write the Pulitzer prize-winning biography Life of Sir William Osler. Cushing died in 1939, but the advances he made in the field of neurosurgery are still applicable today. He was one of the first to use X-Rays as a means of diagnosis, and remains one of the foremost instructors of neuroscience.